I'm all confused. It says Episode 19. Should it be 18? Did I miss one somehow? All of my confusion aside, keep up the good work! Steve, we released this as episode 18 because we were running a little long on our post-production of the riff. Spot on commentary! I really got a Fox News-esque vibe from the way the bikers ran around harassing people and then were offended when the cops showed up. I was left with an 'I don't know what is happening' feeling at the end. I did like the cop standing up for civil rights. Didn't see that coming. And what the hell is that biker as bard/busker thing? As if this wasn't far enough off the rails already. Smiley was the Woody Guthrie of the Madcaps of Bakersfield...sans talent. So, the biker and the little hippie boy fell in love...cool baby! They're gonna have so much fun when he turns 10 and can start doing mescaline and bong rips with Tiny Tim! (Tiny Tim the biker, not Tiny Tim the singer). 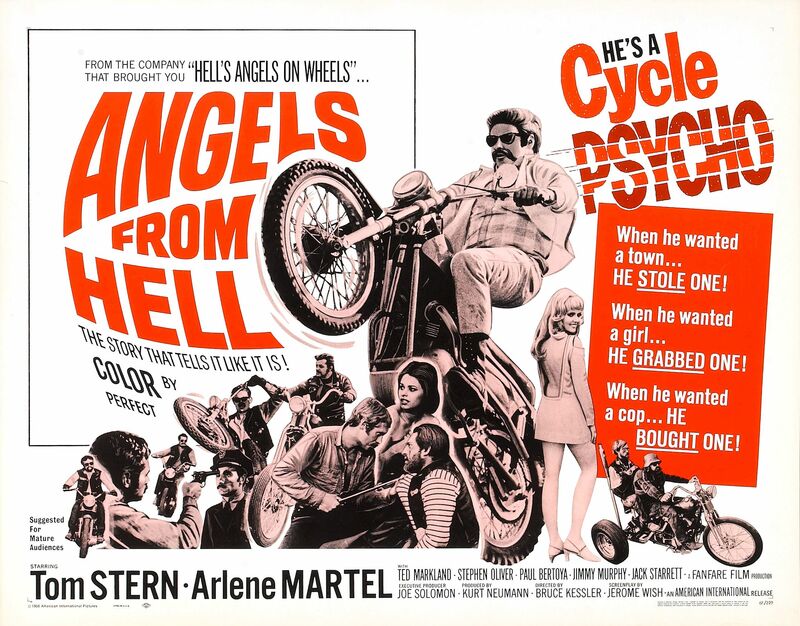 I love the "Angels From Hell" song that incorporates the sound of two pieces of Velcro being ripped apart.